This has been in the works for some time now (without any progress), but finally this weekend we completed our modern twist on an antique frame we bought at a second hand store. 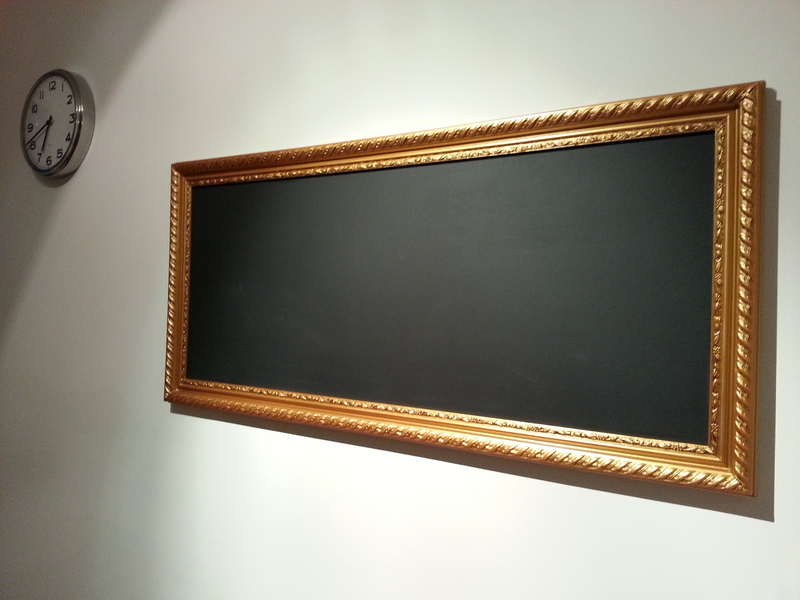 We took out the original backing; cut, sanded, painted (with chalk board paint) and framed in the new board into the newly painted frame. It current sits in the kitchen along with our “highschool clock.” With the two pieces sitting on the same wall, it really feels like school. The dimensions of the frame is about 2.5′ x 4′. Minimal effort with great reward, definitely a gem!